Do you want to get a brand loyal customer base that generates repeat sales and referrals? An effective PR strategy can sometimes get you much better results than direct, paid advertising. These benefits come in the form of a highly engaged and loyal customer base at a much lower cost than paid, direct advertising. If your PR effort works right you can successfully endear a much larger audience. Let’s assume a reputable and relevant magazine published an article in which it mentions you as a trusted supplier. People in general will take that published article as much more credible evidence of your worth than if you market your product features directly to the customers. For example, an interesting article in the New York Times which highlights your product would have an average engagement time of around 20 minutes as opposed to an expensive TV commercial that you run for a much shorter duration. The results in terms of increased sales and brand loyalty would also be better as the article in New York Times is perceived as much more trust-worthy than direct advertisements by your company. Further, the article has a high likelihood of setting of a ripple effect whereby other publishers refer to it and cite the article. In this way, the positive publicity gained by you is phenomenal. You may choose to engage a specialist PR company in which case you would obviously factor in the monthly retainer fees paid to the PR firm in your Return on Investment Calculation. The good news is that even if you can’t afford a specialist firm you may end up doing a pretty good job yourself if you follow some basic guidelines given below. Goal Setting: The first step in your PR strategy would be to develop a clear goal. SMART (Specific, Measurable, Attainable, Realistic and Time-bound) goals help give direction to you and your team. These goals may have to be redefined later on but having a written down goal at the outset helps in that it offers a base against which you can measure and enhance performance for optimal results. The next step is to measure the contribution of each channel towards achieving that goal. It is critical that you know where to invest your time and money. For example, if you use call tracking, then you can generate a report to determine the number of convertible leads from each source. If you find that your sales have spiked due to editorial coverage in one particular magazine, then you know what your customers read and how to approach them. Finding out exactly which media source your customers come from is critical for formulating an effective PR strategy for your company. You should consider making a hierarchy of media sources based on the sources of your convertible leads. For example, at the top of the hierarchy could be a publication such as the Financial Times. Next in the list could be an influential blogger in the relevant domain. This could be followed by mentions on credible websites. In this way your PR effort can be prioritized for optimal results in terms of sales and brand equity. The Pareto Principle (80:20 rule) states that 80 percent of your convertible leads are generated by only 20 percent of your PR sources. Hence, the importance of categorizing your PR sources in this manner through a technique such as call tracking can really help give focus to your effort. Another good technique for successful PR is to present an interesting story about your product that is naturally appealing to journalists. For example, if you are a toy manufacturer and your product has some educational relevance, then highlighting this with a real story of how it benefitted a child could attract media attention much more than a listing of product features. One of the most critical elements in your PR strategy should be personalization. Randomly sent generic e-mails will at best be deleted without being read. In some cases you may even end up offending the recipient and thereby generate negative PR. What you need therefore is a personalized message that addresses a genuine concern of the recipient. Therefore, a short e-mail that highlights your unique strength sent to one journalist will get much better PR results than an impersonal message sent to hundreds of journalists. 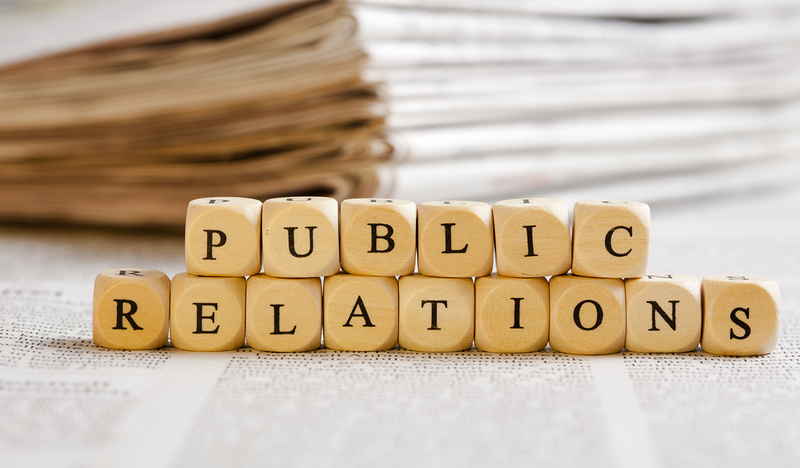 All in all, an effective PR strategy focuses on high quality leads and offers personalized information that is interesting and differentiated.